To mark the 80th anniversary of Oliver Jones (September 11th, 2014), MU celebrates the immense talent of this great Montrealer, pianist and teacher by producing a large outdoor mural in Little Burgundy where he grew up. He will now be immortalized on the wall of Habitations Albert, near the Parc des Jazzmen, by muralists Dan Buller and Five Eight. The mural is part of a series entitled Montreal’s Great Artists, initiated in 2010 to highlight the contribution of the creative minds and forces behind Montreal’s reputation as an exceptional North American city. 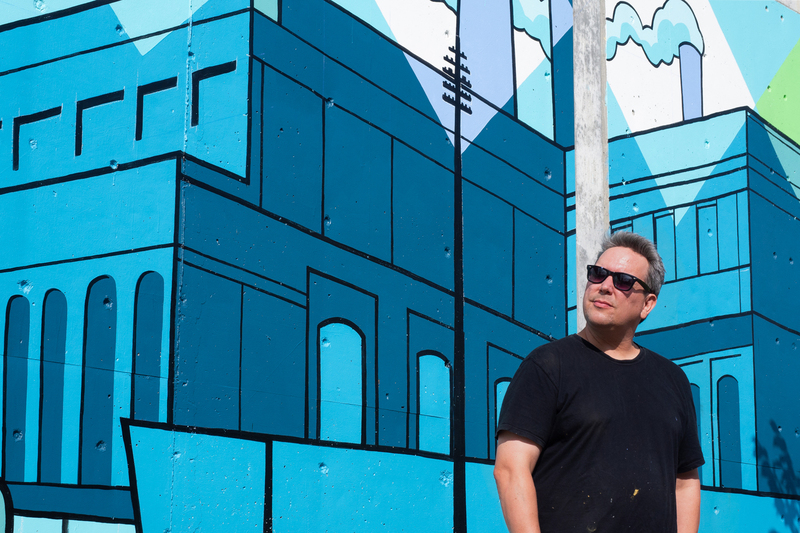 Since the launch of this ambitious project, a series of murals have been created to pay homage to the creative talents who have made outstanding contributions to the local, national and international reach of the city’s cultural scene. MU also produced in 2011 in Little Burgundy as well a mural in tribute to Oscar Peterson, pianist and friend of Oliver Jones. Free mural arts workshops have been offered to neighbourhood youths aged 13 to 17, in collaboration with Youth in Motion.